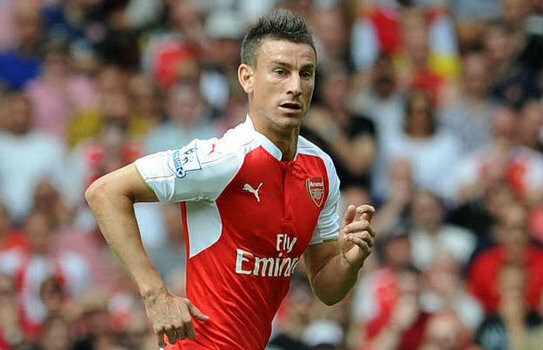 Arsenal head to Anfield to take on Liverpool on Sunday looking to bounce back from last weekend’s defeat at Stoke City. 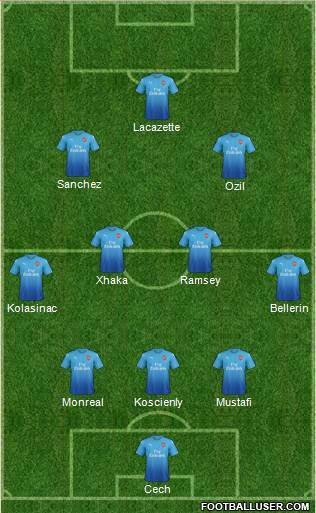 Here is the team I’d like to see Arsene Wenger select as it has the potential to bring home the three points…. Cech hasn’t been at his best so far this campaign but he’s still a better all-round goalkeeper than Opsina so I’d stick with him on Sunday. Koscielny is back in contention after serving his three-game suspension so the skipper will come straight back in to the side and his return will be a huge boost as our defence has been a shambles without him. There has been speculation linking Mustafi with a move away before the window closes but I don’t see anything coming of it and the German should keep his place on the right side of defence. Monreal was deployed in the middle of the back three against Stoke and predictably it was a disaster. I’m still not a huge fan of him playing on the left but at least he’s more suited to that role than in the middle. Holding and Mertesacker will battle for a place on the bench but Chambers is still recovering from a minor injury so won’t be in contention. It might seem a little too simple for Mr Wenger but perhaps this weekend we will finally see Kolasinac play in his preferred left wing-back role and we’ll have all our players playing in their rightful positions again! Rumour has it that Oxlade-Chamberlain has told the club he wants to leave so I don’t see how he can be selected this weekend and I think it will be a blessing as we’ll be far more balanced with Bellerin back on the right. I still worry about our central midfield department as the Xhaka-Ramsey partnership isn’t working but it’s the best we’ve got until Wenger finally addresses this glaring issue. 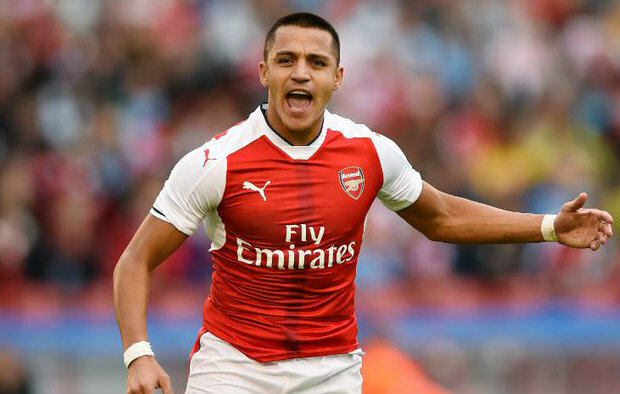 We couldn’t finally see Sanchez back in an Arsenal shirt on Sunday as the Chilean international has been declared fit and available for selection after recovering from an abdominal injury. Wenger says he hasn’t decided whether to start him just yet but I think we’d be mad not to as we desperately need his creativity back in the side for this vital game. Welbeck is the man most likely to make way as he was hugely frustrating against Stoke last weekend. If only he could finish…. 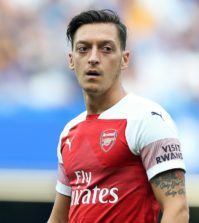 Ozil has come under criticism already this season but you can throw all the pass-completion and chances created stats you want my way, I still think he needs to do more when we’re not in possession. If he doesn’t put the work in against this Liverpool side, then we’re going to be in trouble of Sunday. Lacazette would be my pick up front with Giroud on the bench as an impact sub. 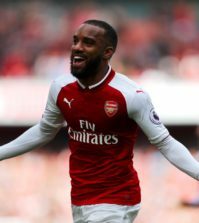 I’m keen to see how Laca will link-up with Sanchez and Ozil as it has the potential to be an excellent attacking trio. This eleven has the potential to bring home the three points as long as we keep things tight at the back and don’t get caught in possession in midfield [Xhaka!]. 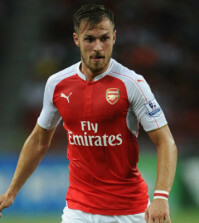 However, who’d be surprised if Wenger stuck with The Ox at wing-back and started Giroud up top? ?